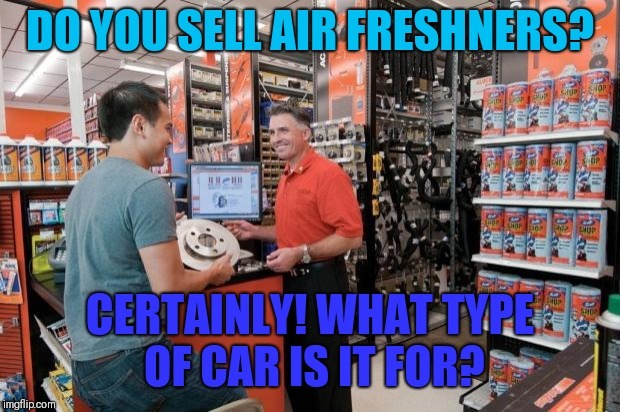 DO YOU SELL AIR FRESHNERS? CERTAINLY! WHAT TYPE OF CAR IS IT FOR?